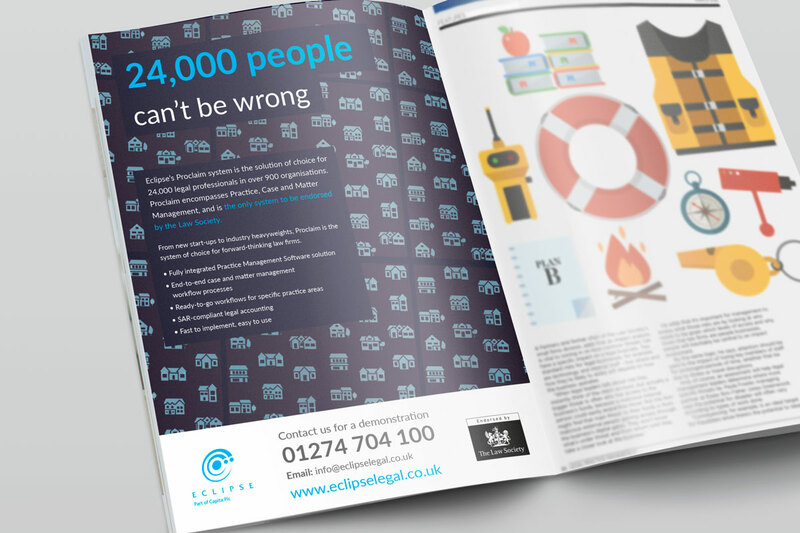 To promote Eclipse’s Conveyancing Software package, I mocked up a Conveyancing styled A4 advert which could be used in magazines and brochures. I chose a style which had not been used before, something unique and to be easily noticed by the customer. I believe having a large dark background accomplished this, especially when the advert is printed next to a facing white content page. 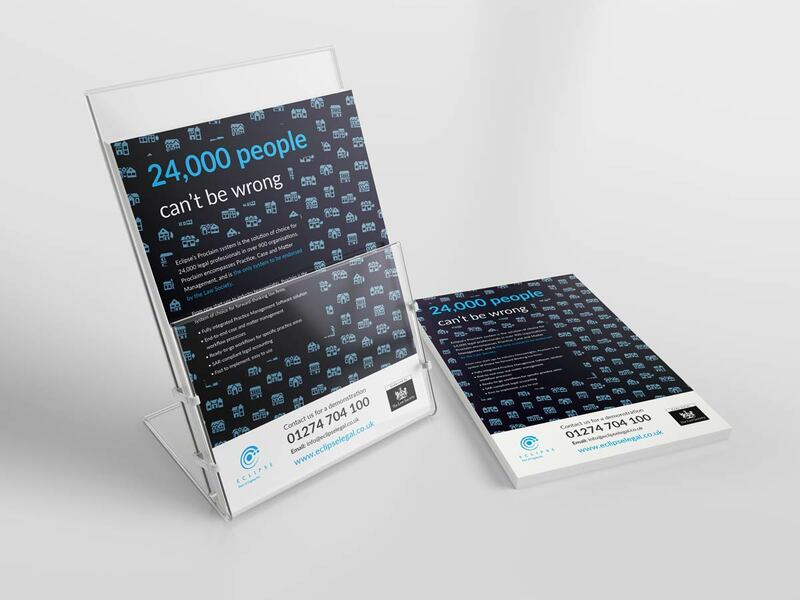 Whilst this advert did not go ‘live’ there are parts which have been used in other projects since, noticeably the bright blue heading colour and icons. Created whilst working at Eclipse Legal Systems. Software used: Adobe InDesign and FontAwesome.